The custom home built into a Malibu cliff and named for the pelicans that flock the area has been re-listed, with a big price cut. Less than a year after it was put on the market for $57.7 million, the residence above Malibu’s beaches and overlooking the water is now asking $35 million, the Los Angeles Times reported. The owners of “Il Pelicano,” Liz Edlich and Dale Kinsella, spent more than seven years completing the home, which replaced a small surf shack. The home is off Pacific Coast Highway and includes 3,800 square feet with three bedrooms and 4.5 bathrooms on a half-acre lot. Edlich co-founded Radical Skincare, and Kinsella is an attorney. The couple paid $2 million for the land in 2000, and had materials delivered from around the world to build the home. It includes stone from Italy, balustrade from France, and antique doors from Morocco. In addition to the sale price, the property is also available for lease at $70,000 a month, or $22,000 a week. New buyers would become neighbors with Jennifer Lopez and Alex Rodriguez, who recently purchased a Malibu home for $6.6 million. 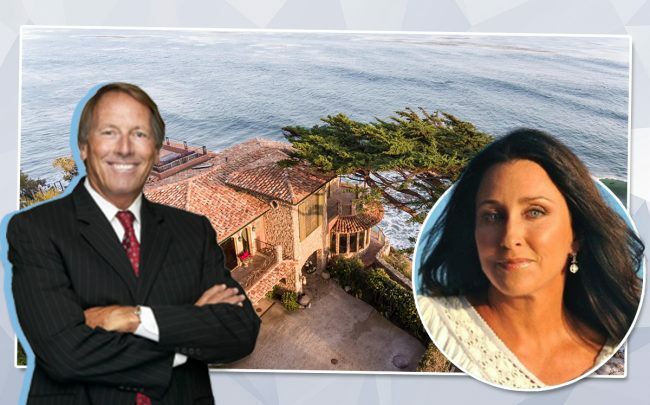 But the Malibu crown still belongs to billionaire Michael Smith and his wife Iris, who paid $110 million for Peter Morton’s house in Carbon Beach last August.